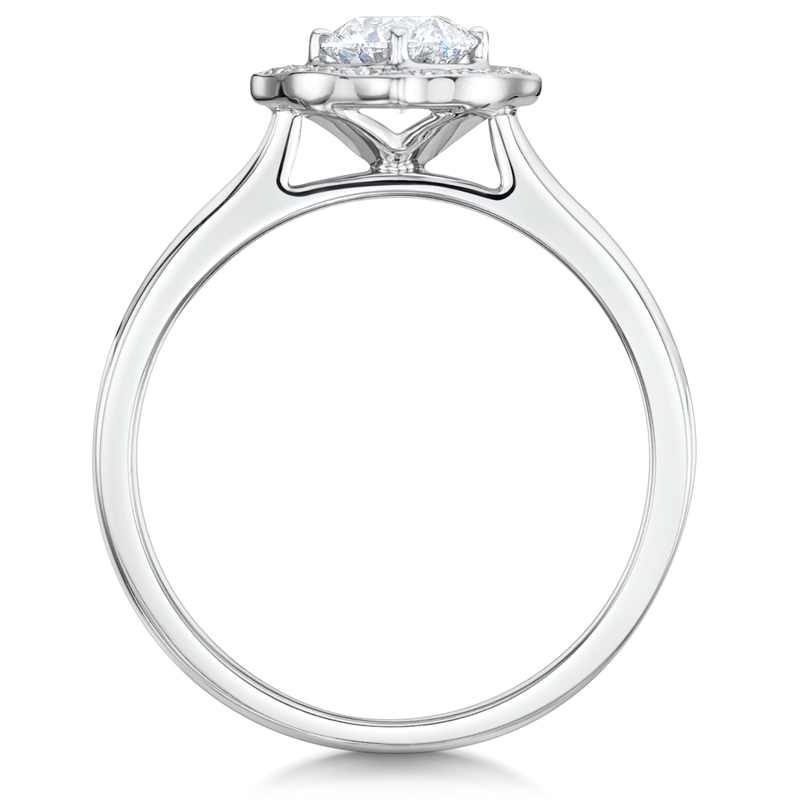 Unique and Timeless Compass Set Diamond Solitaire. 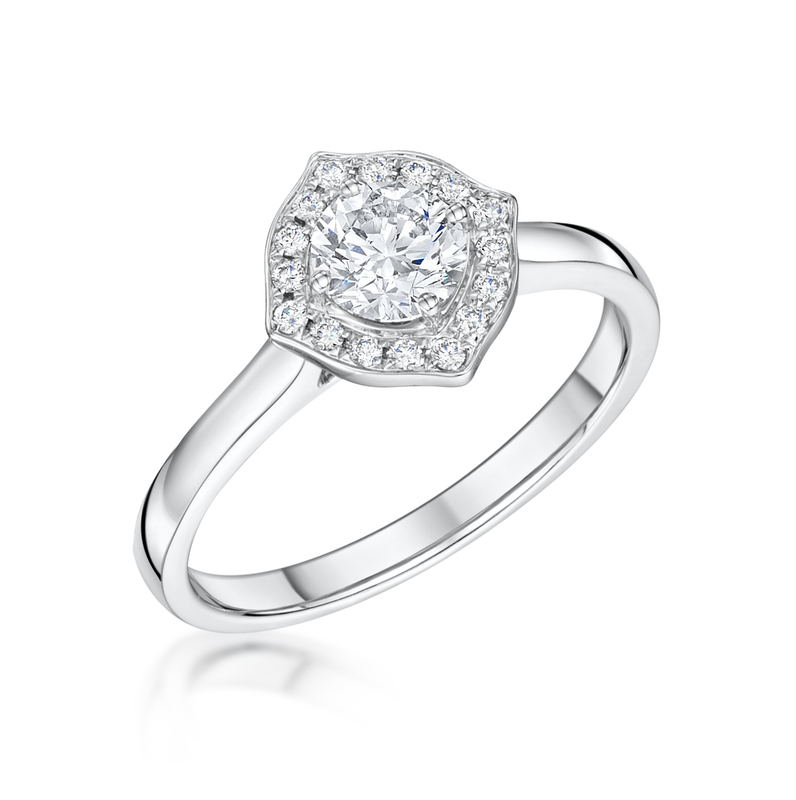 0.52ct Round Brilliant Cut Centre Diamond, Set Into Our Signature “North Star” Halo Setting. 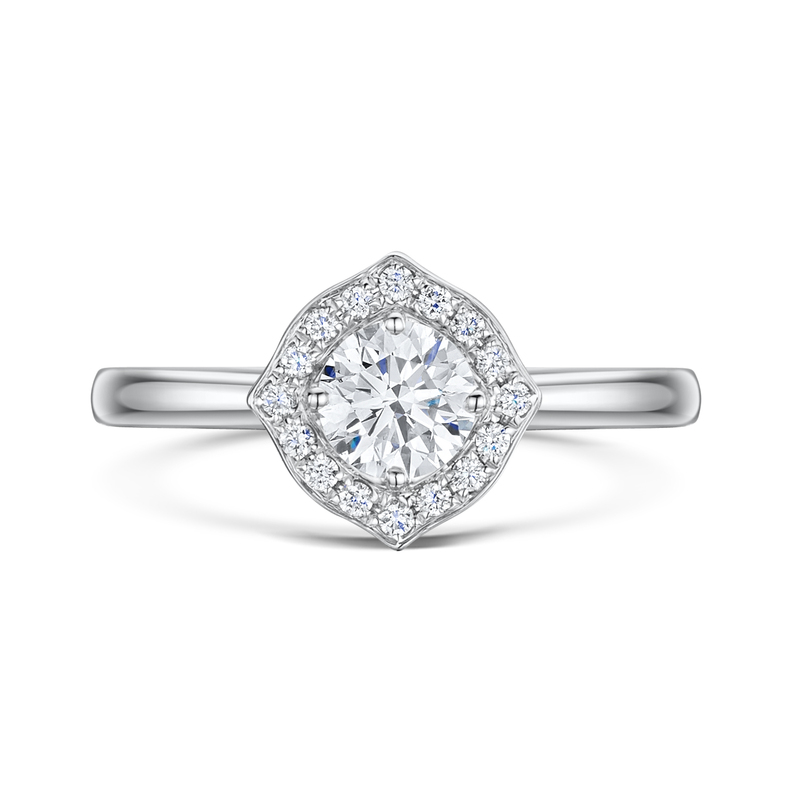 Surrounded by a 0.11ct Round Brilliant Cut Diamond Halo.